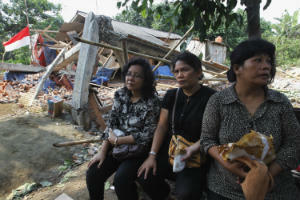 The last few years have seen a worrying rise in religious freedom violations in Indonesia. 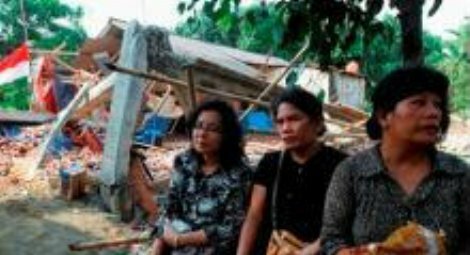 CSW's new report, Indonesia: Pluralism in Peril, details the various forms this takes including the rise in forced closures of places of worship. Last year the Ahmadiyah Muslim community in Bekasi, West Java, experienced the terrifying closure of their mosque by local police. On 8 March 2013 the local government put up signs outside the mosque quoting from discriminatory legislation banning the Ahmadiyah Muslim faith. Less than a month later, 400 police officers began to erect a fence around the mosque. And finally, at 7am on 5 April 2013, police came to search the mosque and locked all the exits. The mosque was sealed. The Ahmadiyah Muslim community experiences harassment and persecution all over the world from mainstream Muslims who consider Ahmadi beliefs heretical. Since 2005 Indonesian Ahmadis have experienced an increasing campaign of discrimination and violence, including the banning of Ahmadiyah teaching and practice, and the closure of mosques. Initially at least 40 Ahmadis decided to stay in the mosque in order to protect it, fearing it would be destroyed. It was then decided that women and the elderly should leave, which left about 20 Ahmadis in the mosque compound. They stayed there for weeks, while the local administration tried to force the community to remove the word ‘Islam’ , and members of the community delivered food to them. The mosque is still sealed. To read more about religious freedom in Indonesia, and find out what can be done to tackle the problem, download a free copy of Indonesia: Pluralism in Peril.